This judgment relates to rules for British citizens, permanent residents and refugees who wish to sponsor adult dependant relatives to join them in the UK. Prior to 9th July 2012 most applications were made for parents and allowed for sponsorship of those aged 65 or over who were financially dependent on the sponsor to come to the UK if the sponsor could afford to maintain and accommodate their parent without recourse to public funds. E-ECDR.2.4. The applicant or, if the applicant and their partner are the sponsor’s parents or grandparents, the applicant’s partner, must as a result of age, illness or disability require long-term personal care to perform everyday tasks. Defeated the purpose of the law under which they were made and contravened previous Ministerial assurances (Padfield AC 997). Were in truth “snare and a delusion, a pretence which raises expectations without there being any real possibility of fulfilling them” (Manshoora Begum Imm AR 385). Represented a breach of Article 8 of the European Convention on Human Rights because of the interference with family life. Second, as is apparent from the Rules and the Guidance, the focus is on whether the care required by the ADR applicant can be “reasonably” provided and to “the required level” in their home country. As Mr Sheldon confirmed in his oral submissions, the provision of care in the home country must be reasonable both from the perspective of the provider and the perspective of the applicant, and the standard of such care must be what is required for that particular applicant. It is possible that insufficient attention has been paid in the past to these considerations, which focus on what care is both necessary and reasonable for the applicant to receive in their home country. Those considerations include issues as to the accessibility and geographical location of the provision of care and the standard of care. They are capable of embracing emotional and psychological requirements verified by expert medical evidence. What is reasonable is, of course, to be objectively assessed. This is an important paragraph as it directs potential applicants to the type of evidence that will need to be assembled to support an application if it is to have any chance of success. Such evidence would seem to be a pre-requisite for an application to succeed either under the rules or Article 8 of the ECHR which protects the right to respect for family life. Whether any application or Article 8 appeal succeeds will therefore be highly fact sensitive and be dependent on powerful evidence addressing the key principles in the judgment. Meanwhile we await news of whether these issues will be looked at again by the Supreme Court. 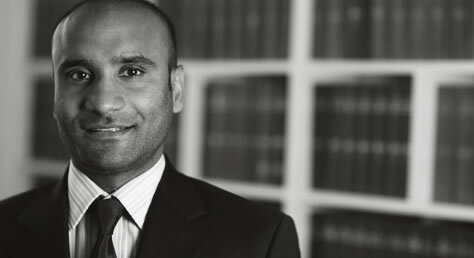 Alternatively, you can make an appointment for a consultation with Muhunthan Paramesvaran or any other member of our immigration team by contacting Dionne on 0208 885 7979.